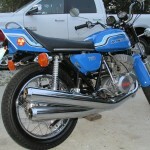 Restored 1972 Kawasaki H2 750 Motorcycle. 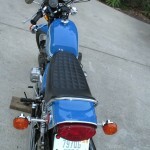 This motorcycle was fully restored to factory specifications. 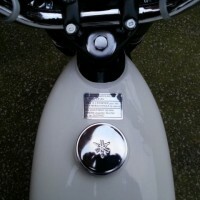 The fuel tank, side panels and tail piece were professionally resprayed in the correct colour. 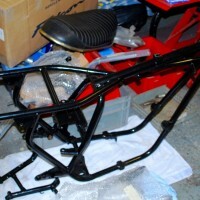 The frame was stripped and powder-coated. 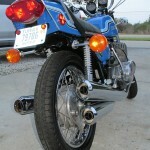 The engine was disassembled and rebuilt with many new parts including seals and gaskets. 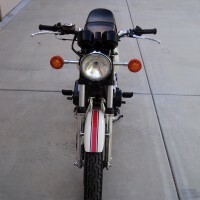 The wiring harness, switches and horn were replaced with new items. 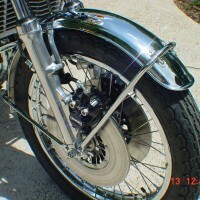 The front forks were rebuilt with new seals. 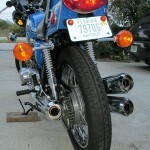 New shock absorbers were fitted. 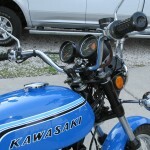 A great restored Kawasaki H2 Motorcycle. 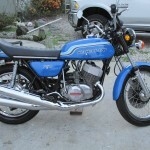 Kawasaki H2 – 1972 For Sale or Wanted? 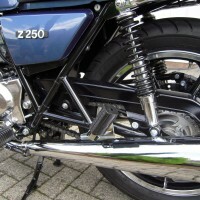 If you're looking for the perfect Kawasaki H2 – 1972 for sale then take a look at the hundreds of restored classic motorcycles listed on our extensive Motorcycles For Sale pages. 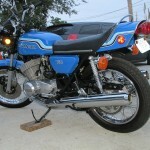 We regularly feature very nice restored Kawasaki H2 – 1972 bikes for sale. 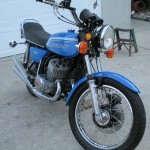 Spares and Parts for your Kawasaki H2 – 1972? 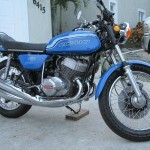 Workshop Manual for your Kawasaki H2 – 1972?